I am making some drapes to layer over my Roman Shades. What color would coordinate the best with my leopard print shades? Will the drapes stay open or close? It would be a good idea if they were lined so you won't see the leopard print under them. 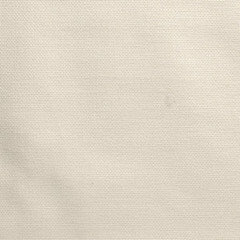 How about a warm neutral fabric that has some shine? 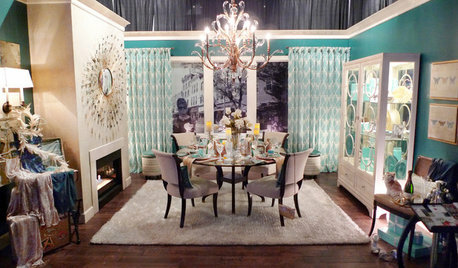 Could you add some of the same trim to the drapes to coordinate them with the shade? Or add a strip of leopard fabric to the bottom hem of the drapes. Might look kind of cool! The drapes will stay open. I agree with adding the leopard print to the bottom. I could also get some ribbon trim in leopard print (would not be exactly the same as the shade fabric) to put along the edge instead. What do you think would be better. 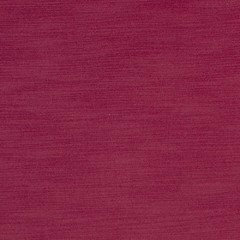 Here are a few fabric options I found. Are any of them a nice war neutral that you think would coordinate well with the brown/black. Here is one other option with some shine. I love your roman shades! If these drapes are going to be left open, I would suggest to use a rod that is about a foot wider than the roman shade on either side. 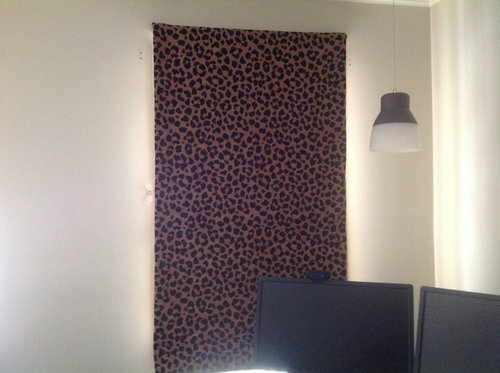 This way you can have the panels on either end, while still displaying your leopard print shades. These colors would compliment very well. Can't wait to see what you decide. Karohill...are you rearing to gathering the drapes or the shade? 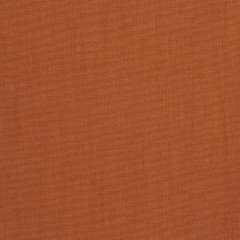 I would suggest getting fabric samples or purchasing a quarter of a yard of the fabrics you're considering and put them next to the shade to determine what looks best. I agree with Curtain Call. See the actual fabric to coordinate with the leopard blinds. Other considerations...how much drama do you want? Black or dark camel with a trim or the leopard on the leading/inside edge of the draperies would give lots of WOW. Also, what else in in the room that you want to coordinate? Is there a fabric or trim that would pull everything together? What about pillows, table runners, etc.? The beauty of custom window treatments is that you have the opportunity to create a cohesive, personal look for the entire space! And definitely make those draperies WIDE - you have the wall space and it will make your window appear much bigger! Don't compromise. Be brave! Show us the results! Thanks everyone! I'll be posting pictures just as soon as I get them done. Thanks for the advice! You've chosen some nice color options. My thoughts are that perhaps the panels should have some sheen but no pattern as it might fight with the shades. I don't think you went leopard print to be a neutral sort of person/look. I think pink! Pink looks great with shades of brown. Then maybe trim that with bits of leopard, or, with something that looks like brown fur. You've got one foot in the funk factor, bring the other foot in! I have to admit Leopard print is probably a difficult design / colour choice to work with so I would select the black spot colour and match a fabric to that, so that the Leopard print fabric becomes the pop of colour when the curtains are open. I agree with Lyn nag. If you chose the animal shades then keep on going with it. no point in trying to calm it down with the colors in the leopard print. Go with a hot pink, with a leopard band across the sides and bottom of the panels. then use the pink in some pillows around the room on the seating. I assume this is an office????? Yes, this is my home office. Thanks! I agree with a black or neutral tan. Add the tassel trim to the leading edge. 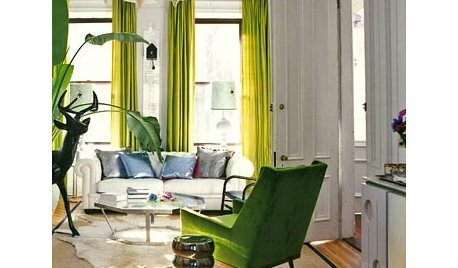 Whatever color you use make sure it coordinates and/or repeated somewhere else in the room. What about a wide strip in black and tan? Get a black curtain rod with an interesting finial and put the draperies on clip rings. 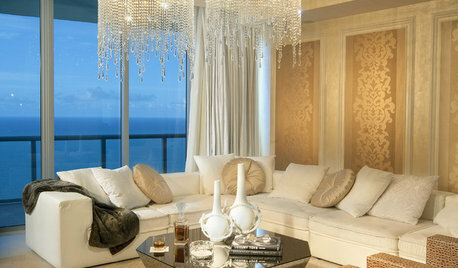 Repeat the tassels trim on them and add some leopard print elsewhere in the room (lampshades, pillows, frames). 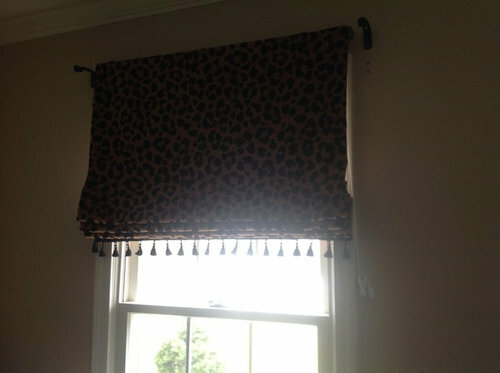 match your drapery panels to your wall color then add a band of matching leopard print to the bottom of the panel. 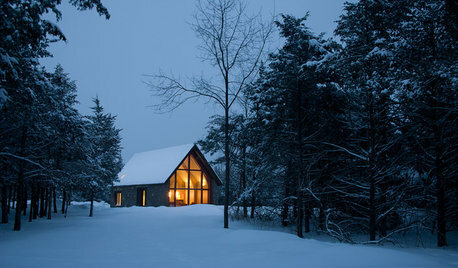 Keep it simple and trust where your "eye wants to be attracted to....for instance, is the shade an actual light control and is there just one window in the room or just an accent to the room?...also, what is your focal point when you enter the room?...is it the bed, sofa or the windows?...so, the windows can either be part of the "jewelry" of the room or the "little black dress" that is your anchor, that everything works off of and coordinates with the theme of the room. 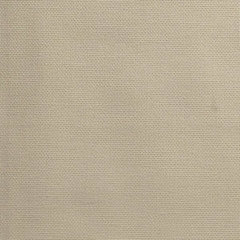 Taupe would be a good choice. Along the same lines as the pink suggestion, how about a deep teal/peacock green? Creamy white looks good on him. Also a soft tan. Definitely use a rod wider than the windows. See if you can match the light brownish background color, perhaps with leopard tie backs if you don't use a valance. 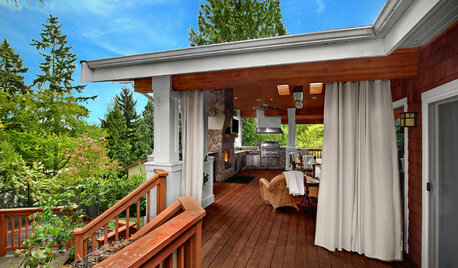 Consider a valance for the top as well rather than drapes with tiebacks that would cover much more your shades. I like leopard print paired with pale blue. 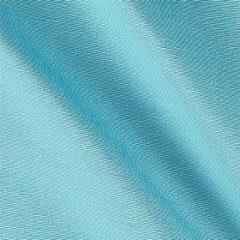 I suggest trying a few different light blue taffeta swatches next to the blinds. Some even have a brown iridescent undertone that you may like. Thanks everyone!! I'm getting some fabric swatches and will be making a decision soon. I'll share the finished product as soon as I get them sewn. Why is everyone going so heavy, it has so much weight already Why not something light an airy like sheers? I agree that lining the drapes is important. You would be amazed at how much better lined drapes look, hang and resist fading. There really is a difference. It's not hard to do it yourself with pre-made panels. All ideas have very good merit. You could also think of the leopard print as a neutral using it with any jewel tone-like the hot pink or teal suggestions which I love. Look at Sonya's post at http://www.beyondthescreendoor.com/2015/01/easy-tutorial-for-a-board-mounted-under-valance.html to see how she pairs fabrics. She is a master at pairing. Who would've thought of toile with leopard?! She keeps things in check by adding a neutral, textural solid as a bottom band to the panel, not to mention that it serves to add necessary length the existing panel. Lots of interest here. PLEASE skip the beigy/tan neutrals. 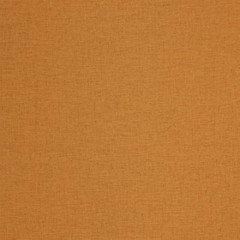 If black panels with a sheen, extended out on the sides as suggested by selectblinds, is too much black in the room, then I love the teal suggestion, or coppery orange. Here are a few fabric options based on the suggestions above. I think that the black is going to be too much for the room., because extending them out will almost fill the wall space between the two windows. I would go with a darker side panel as well, black or dark caramel, the leopard is a strong pattern and to balance it in the room I would do a darker side panel, with a longer rod as well. 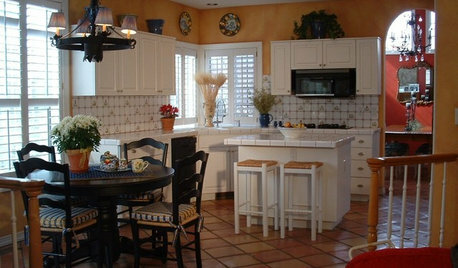 WINDOWSAre Plantation Shutters the Right Choice for Your Windows? DECORATING GUIDESHow Low Should Your Drapes Go? Barley Heavy FauxLinen Curtain Single Panel, 50"x96"
Aruba White Striped Linen Sheer Curtain Single Panel, 50"x96"
Ellis Blue Printed Cotton Twill Curtain Single Panel, 50"x84"
Del Mar Stone Linen Blend Stripe Curtain Single Panel, 50"x84"
Ash Gray Heavy FauxLinen Curtain Single Panel, 50"x96"